Conversion optimization is one of the most important pieces to the digital marketing puzzle. If you cannot convert your traffic then you are wasting your time and money. I have worked on many conversion campaigns over the years, but I wanted to show a case study where I was able to more than double a conversion rate. 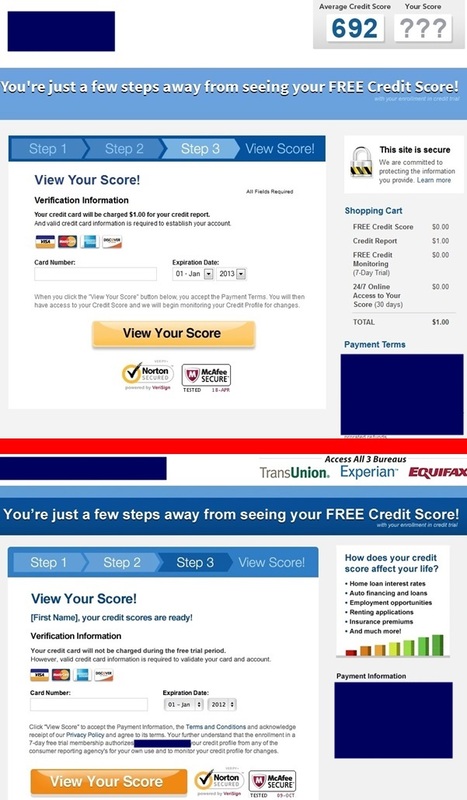 I am not able to go into detail on who the company is, but I can tell you that they are a credit report company, similar to FreeCreditScore.com. They generate leads on a pay per lead basis, so they pay only when a person enters their website and converts into a lead (fills out the forms). This company has many partners that drive traffic to their landing page and the partner gets paid when the traffic converts into a lead. Since this is their primary lead source, it is very important for them to make sure that the traffic converts. Email marketing is where they were lacking and converting email traffic is different than web conversions. Plus, email marketing leads are much better quality. When this company came to me they were doing a 1% conversion. 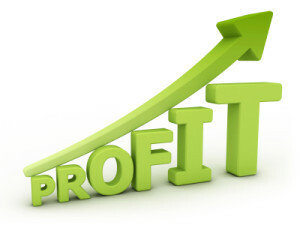 To compare, their big brand competitors are doing about a 3.5 – 4% conversion rate. Since this company is not a big brand, they know they will not achieve these numbers, but would be happy to at least get close. After changing the landing pages and making many tweaks, I was able to get their conversion ratio up to 2.55% from 1%. They know it will be very hard to achieve a 3%+ like the big brands do, but they are ok with that. When you are able to double the conversion rate for any company, the reward is tremendous. This company is already very good at generating revenue from their leads, so doubling their conversions while spending the same on marketing, is a huge win. 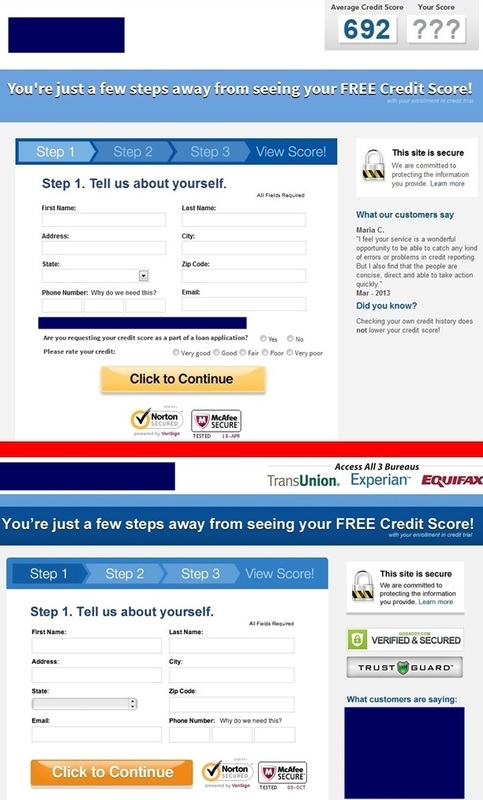 Below you will see the old landing page (top) and the new landing page (bottom). The biggest change was the fact that the old landing page wasn’t an actual landing page, you had to click to get to the first short form. This is not a good idea when it comes to conversions because you want the potential lead to do as minimal work as possible to start providing their information. Added big yellow arrow – You should direct people to what you want them to do. If you want a form filled out, then point them in that direction. But also make sure the arrow is visible and draw attention to it. It was important to make sure the arrow stuck out a little to the right because when it was moved to the left it got lost. You can see there were other changes, but these are the big changes for this page. Page 3 of the process is below, old page is on top and new page is on bottom. We are starting to get into the hard data to convert. 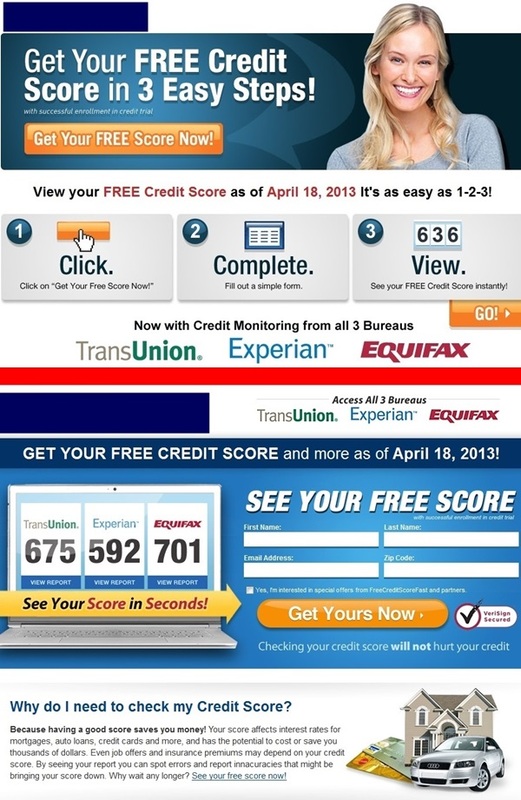 Social security number and credit card. This is where the leads start to fall off. Since social security number is probably the hardest thing to get from someone who doesn’t know who the company is, it is important to make the person feel like they are getting something in return. Page 4 is below, old on top and new on bottom. This is it, does the visitor turn into a lead or not? 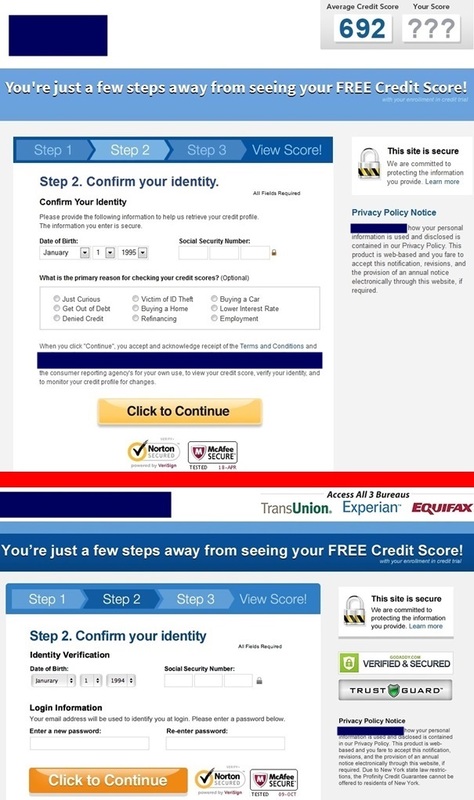 This lead form is for a free trial, but of course credit card information is asked for to verify identity, plus to start billing the person after the free trial is over. Don’t we all love these types of offers? Below is a screen shot of the stats, which shows a conversion rate of 2.28% combined between the different variations. The variation I discussed above achieved a 2.55% conversion ratio. Yes, I should have got a screen shot of that, but that is ok. When you ask for very personal information like social security number, expect low conversions, even if you are a big brand. You have to “massage” your potential leads, make them feel secure, safe and that they aren’t going to become another statistic of identity theft. There are other things that can be added to the landing page like live chat, phone support, etc… which is what bigger brands can do, but when you are a smaller company that is trying to compete on price, those resources are hard to provide. Understand that web conversions will be higher than email conversions, typically. Email leads are better quality from my experience. There are many ways to increase your conversion ratio, all you have to do is test and put yourself in your visitors shoes or just hire an expert.